We build, repair, restore, or re-create harps. 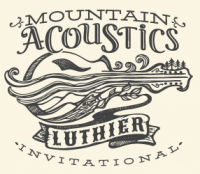 You may find one of the instruments in our stock harps page appealing. These harps are constructed from various harp builder's plans and you can choose options for these just as you can for a custom harp. 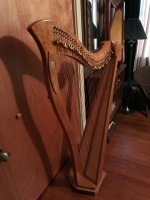 You can rent a harp for as little as $30 per month! This gives you the opportunity to explore the world of harping without a huge initial investment and, 100% of your rent applies to the purchase of any harp that I make when you choose to upgrade! From time-to-time, we offer used harps. These are instruments that have been rentals, or prototype harps, or harps taken in trade and refurbished. Our used harps are also waranteed. Wanting to buy a new harp but think you have to sell your old one first? Maybe not... Our trade-in policy is simple. I'll evaluate your trade-in and reduce the cost of your new harp by that amount. Located in Upstate South Carolina, we can ship anywhere using FedEx or UPS. 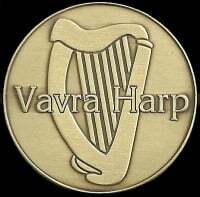 PLAIN ENGLISH VERSION - Any harp made by VAVRA Harp is warranteed for as long as you own it with the following limitations: Strings wear out and break; I don't warrant them. Harps aren't made to kick around, soak up liquids, or be used as pidgeon roosts; I won't repair your abuse. I do warrant the wood, joints, and craftsmanship, including gold gilding, for as long as you own it. That ought to give you security! For CUSTOM HARPS, payment of the initial costs (usually materials) that are agreed to during the concept phase is due before work begins. The remaining balance is due before items are shipped. ​ For stock goods or service, items are shipped when your balance due is received. ​You can use our secure checkout with or without a PayPal account using Visa, MasterCard, American Express, or Discover.